I had a blast with the family this past weekend in the picturesque town of Bryson City, North Carolina. 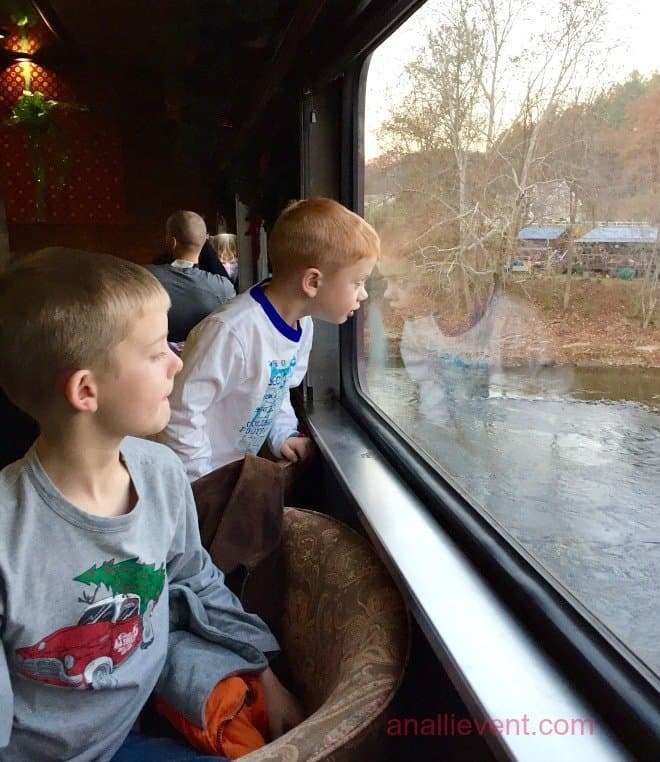 The main event was the Polar Express Train Ride on the Great Smoky Mountain Railroad with the grand kids. It was a perfectly wintry night for a trip to see Santa at the North Pole! We arrived on Thursday to spend the weekend in a secluded cabin in the woods. We had purchased our train tickets a couple of weeks earlier for the 5:00 PM train ride on Friday night so we had plenty of time for sightseeing, playing cards, pool, foosball and hanging out by the fire pit making s’mores. The grand kids were over -the-moon excited as we waited to board the train on Friday evening for the 5:00 PM ride. And I was impressed at how fast the train was loaded and how very nice the “chefs” were. Helpful Hint: If you arrive early, you can tour the train museum (free with purchase of train tickets), have pictures made with Santa (extra cost) and enjoy treats from the snack bar. When we walked into the Carolina Shine car, I quickly noticed the beautiful Christmas decor and the plush captain’s chairs. We each had a large bag of assorted candy waiting on our tables. 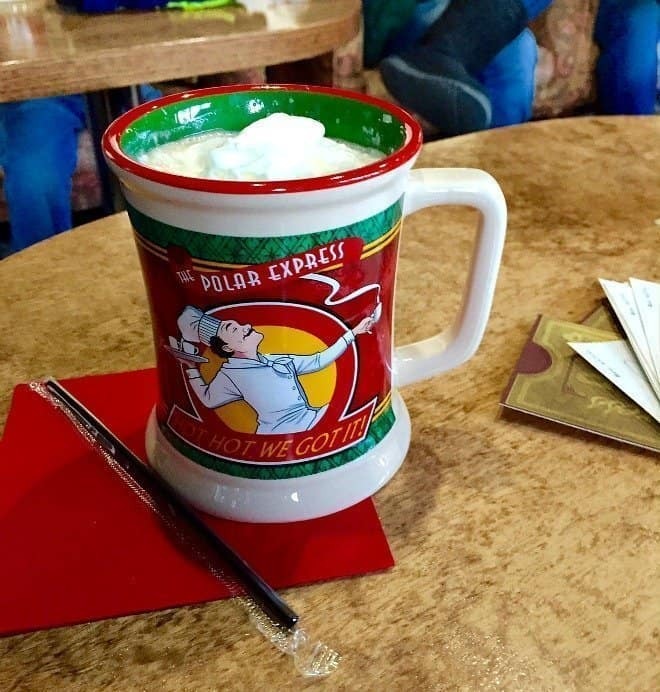 After the train pulled away from the station, a recording, set to the sounds of the motion picture soundtrack, begin to play and we were all served delicious hot cocoa in a take-home mug (for real mug, non-plastic) and chocolate chip cookies. 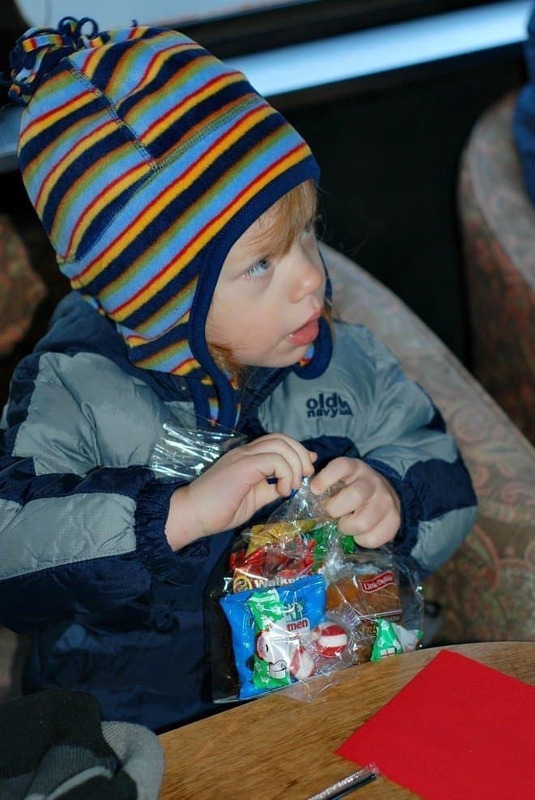 The hot cocoa was not overly hot; it was the perfect temperature for the little ones! Special Note: I was told that the train’s capacity was 700 people and I do believe it was full and there were two more trips that night following ours! There were 16 (including our 8) in our train car. Also, lots of kids and adults had on their PJ’s (cute, like the movie). We didn’t. I don’t really do PJ’s in public, but that’s just me. After boarding the train, the conductor came by and punched the kids’ golden tickets. And we were off on an adventure! 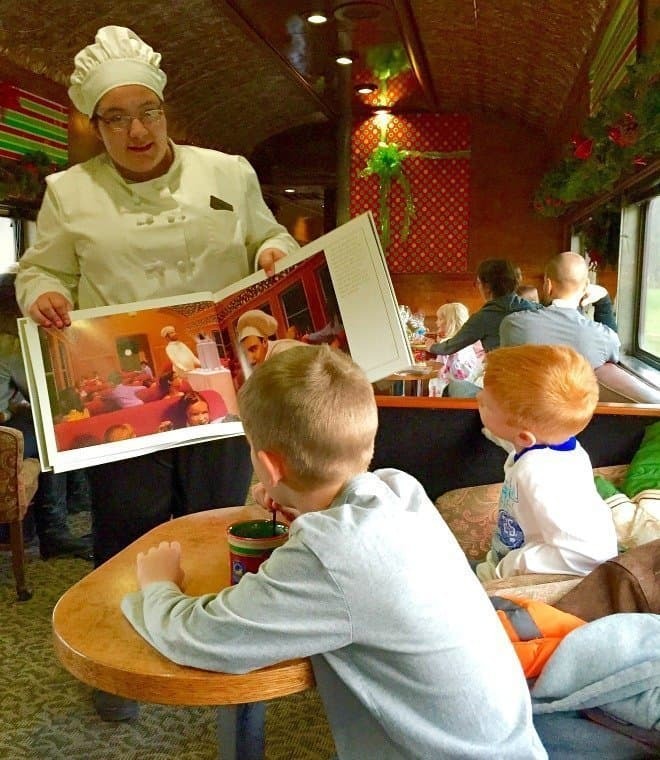 The chef assigned to our car kept the children entertained by dancing and singing at the top of his lungs until it was time for the reading of The Polar Express. In walked another chef with a great big book so that the children could see the pictures as the recording was piped throughout the cars. When we arrived at the North Pole, we saw elves, a hobo and Santa’s house. We also saw where Rudolf and Frosty lived! All of the homes were decorated to the hilt with lights and greenery. Santa boarded the train, greeted each child and gave them all a silver sleigh bell. On the return trip to the Bryson City train depot, we were all given a brochure of Christmas lyrics. The chef invited us all to sing along with him and to request our favorite carols. Then our freshly washed mugs were given back to us, packed in bubble wrap. We also received a nice bag to carry our candy bags and mugs (one per family). We had such a good time riding the Polar Express. And the next morning our 3-year-old grandson asked if we could do it again. 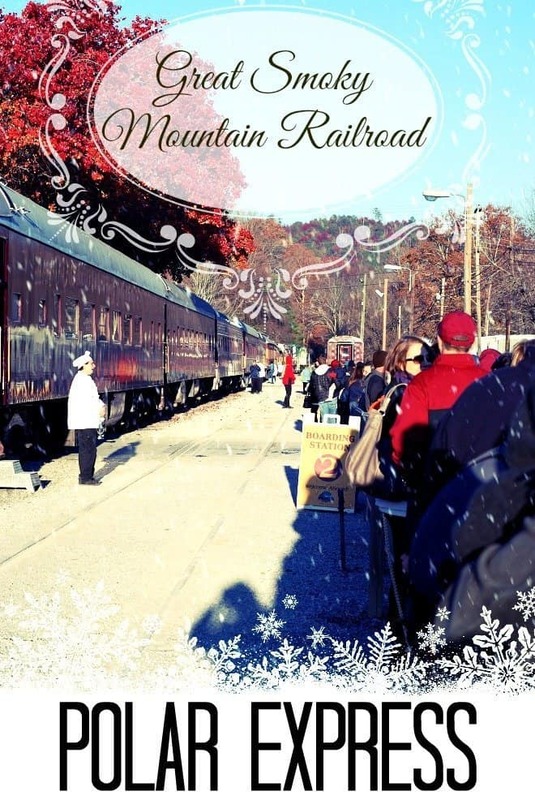 Over 53,000 passengers rode THE POLAR EXPRESS with the Great Smoky Mountains Railroad in 2013! 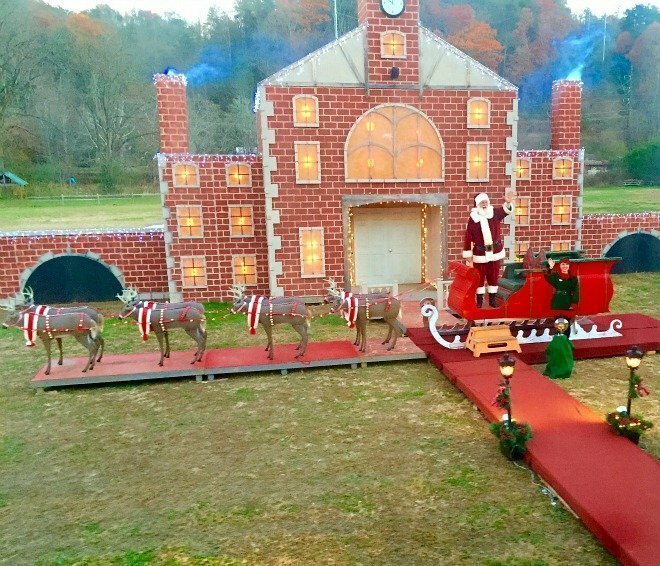 The 1 ¼ hour round-trip excursion comes to life as the train departs the Bryson City depot for a journey through the quiet wilderness for a special visit at the North Pole. You can choose from standard/coach, crown class and first class seating. We purchased the first class seating. It included the candy bags and the Polar Express souvenir mug. 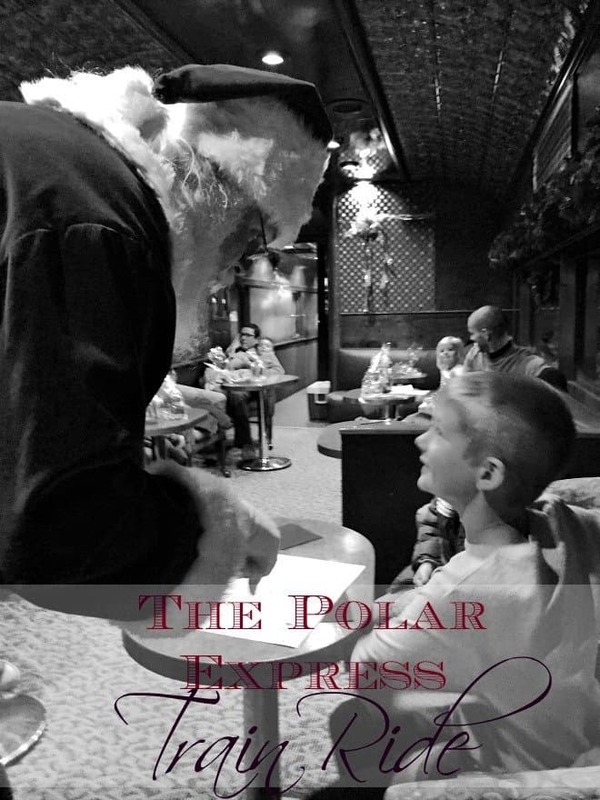 THE POLAR EXPRESS began it’s trek to the North Pole on November 7th and operates through Jan 4th of 2015. You can find the train schedule and purchase tickets here. What special traditions do you have planned for the holidays? It sounds like a fun time for everyone, especially those precious grand children! Beautiful pictures. I really like that mug and they washed it! 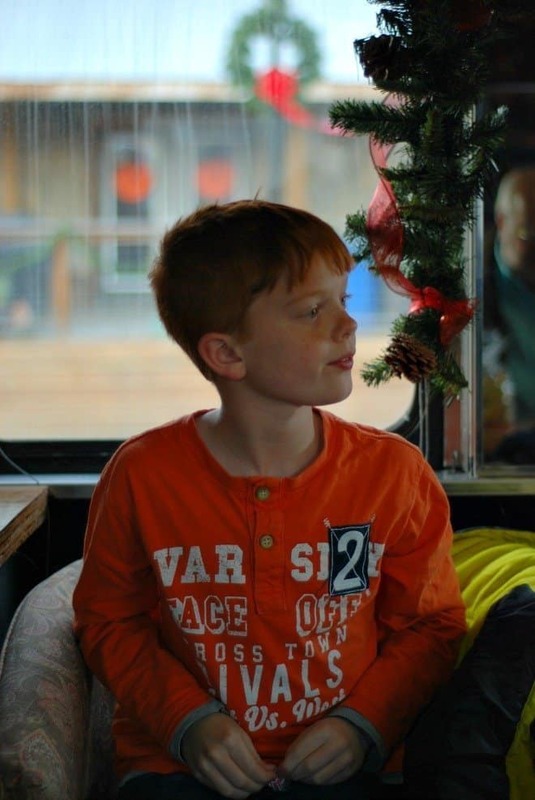 We rode the Sam Shortline last year during Christmas season and plan to go again because it was so much fun! Pinning to my Places board. Looked like the boys loved it!! We will have to come one day and do that. I would love that!!! I know you would. Come on down! What a wonderful memory for you and the grands! It sounds like such a fun trip! I wish we had a similar train ride here – I would definitely take S.
Oh how fun! I’ve ridden the Great Smoky Mountains Railroad during the summer, but never for this! What a neat event! Awww I love it I wonder if they have any near me in GA I need to find out this would be a great experience for the holidays. Well that just looks like it was awesome! I’d love to take my grandkids to that before they get too big. It was so much fun! The adults had almost as much fun as the kids. That sounds like such a fun trip. I love the Smokey Mountains but haven’t been there in many years. Thanks so much for sharing your trip at the Home Matters Link Party! 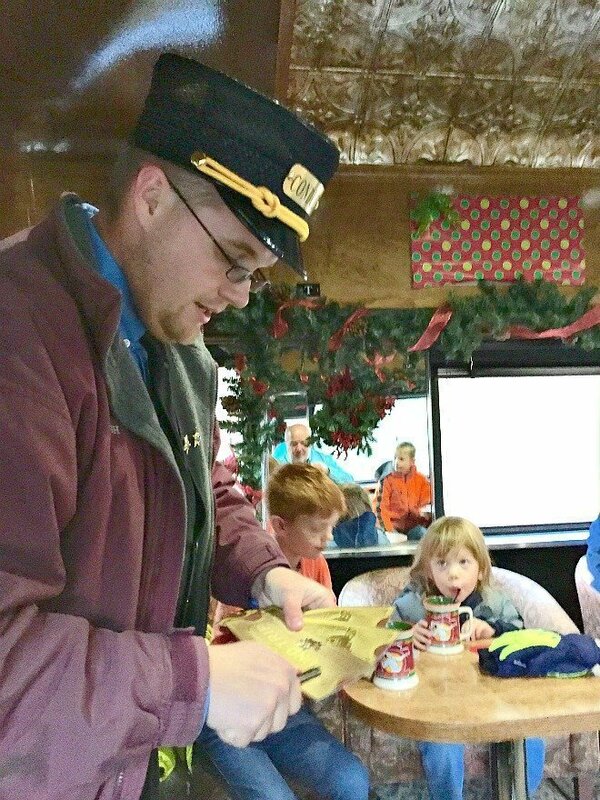 We rode the Polar Express Train when our children will much smaller and it was so much fun! I love making memories with our family! i have wanted to do this for 2 years now. Now all the family wants to go but having a hard time finding a place for 8 adults & 2 kids. Can you tell me where y’all stayed or who you booked through? We are doing it this Christmas! Where did you guys stay? We are looking for a fun place to stay! Thanks. We rented a cabin through a local rental agency. It had a firepit out back and we made s’mores, etc. It was such a fun weekend. The kids AND the adults had a blast. I believe it was called Bryson City Vacation Rentals. Do you remember which side faced Santa’s Village? I’m going to book our tickets online but I didn’t know which seats to pick. Santa’s Village is on the left side of the train. It’s so much fun! What i don’t realize is in truth how you’re no longer really much more well-preferred than you might be now. comes to this subject, made me in my view imagine it from numerous various angles.